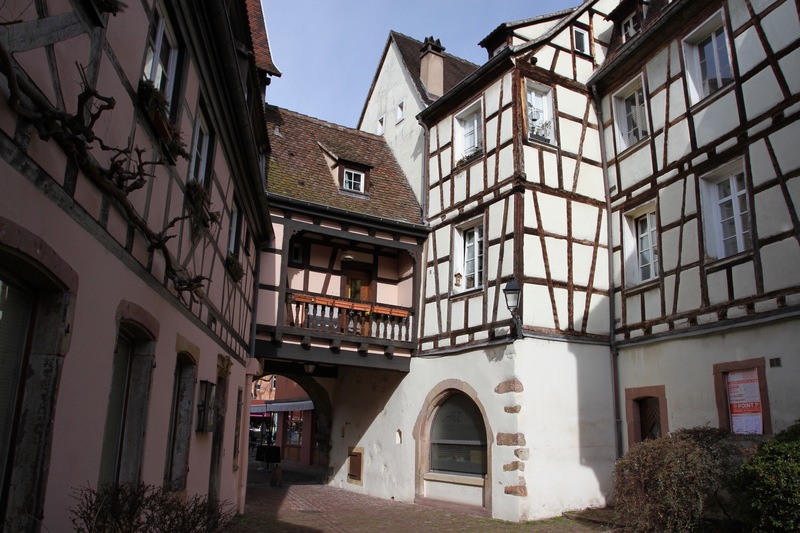 Charming courtyards connected by narrow alleyways, cobbled streets lined with half timbered houses, ancient churches rubbing shoulders with centuries-old taverns. 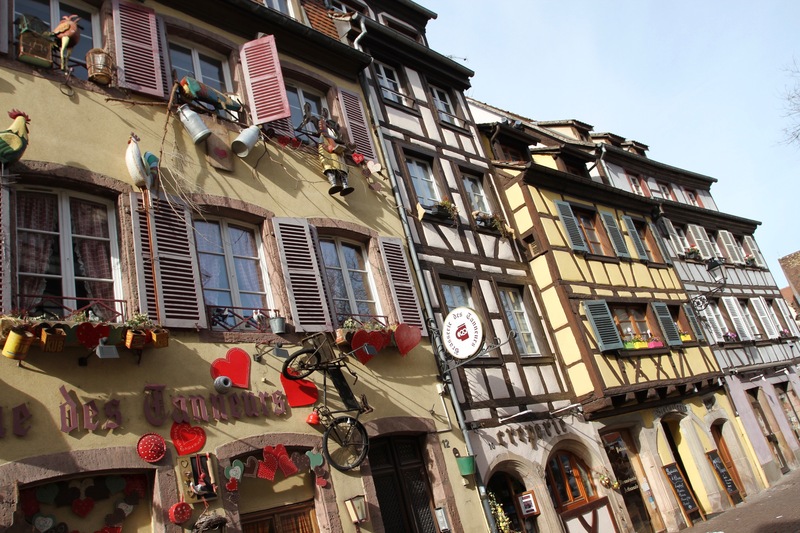 The magnificent Alsatian town of Colmar could come straight from the pages of a medieval fairytale. 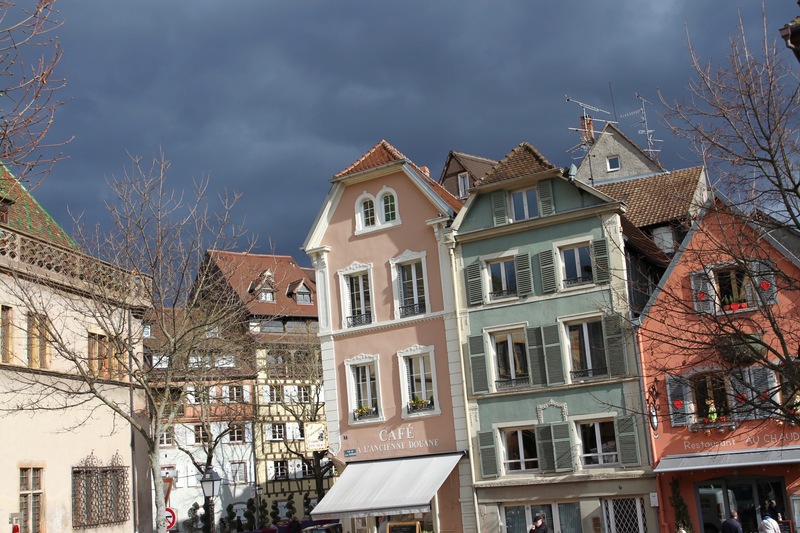 The French author, Georges Duhmal, called it “the most beautiful town in the world”, which isn’t too much of an overstatement, although he never saw it crammed with tourists on an Easter weekend in the 21st century. Arriving in Colmar after driving the beautiful Alsace wine route, it was hard to imagine anything could surpass the picturesque villages of this fabulous region. 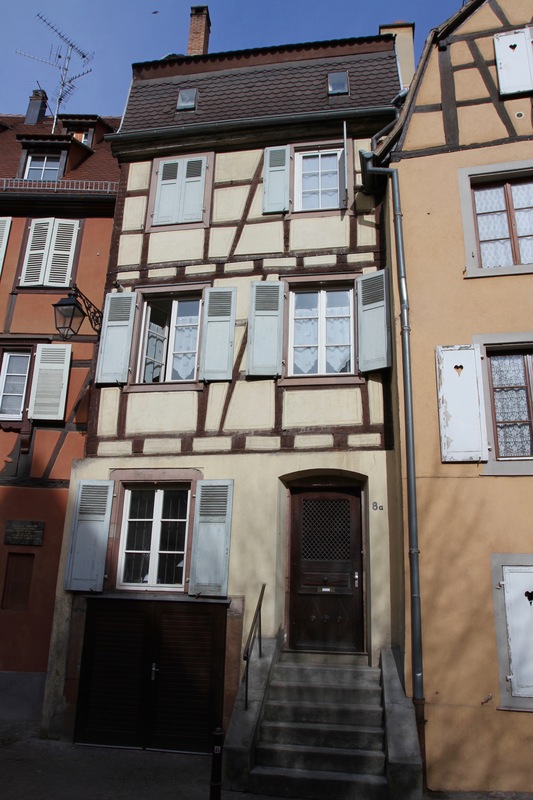 Colmar, though, defies expectations. Our first concern upon arrival was to find a parking spot. No easy task. To celebrate Easter the town council had decided to make all the parking free, and the place was packed with people enjoying occasional sunshine in-between frequent downpours. There was definitely a holiday atmosphere. On the way back to the hotel from a distant car park, I found myself walking by a canal lined with colourful timber framed houses. 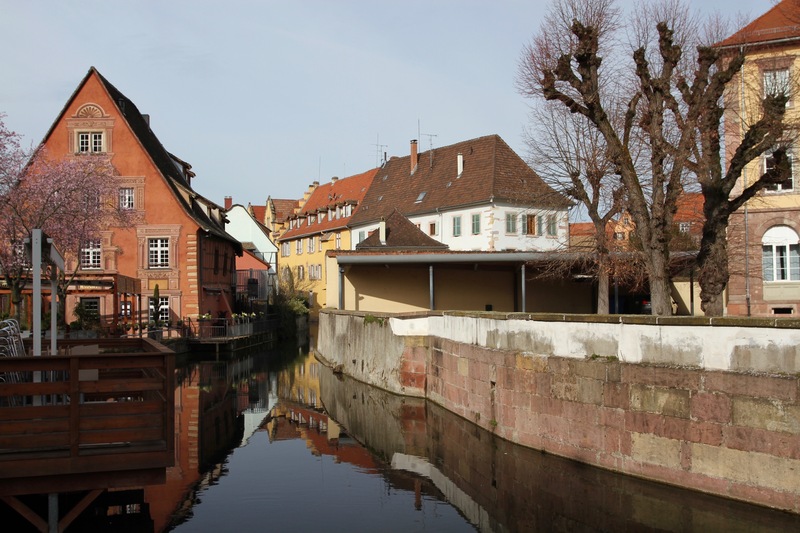 This is Colmar’s famous ‘Petite Venice’ district. A description that is definitely an overstatement. I don’t care how attractive they are, a couple of canals don’t qualify as a French Venice. Not even a small one. It was here that I first came across metal squares on the streets emblazoned with an engraving of the Statue of Liberty. This is a nod to the town’s most famous son, Frederic Auguste Bartholdi, the sculptor who designed New York’s most famous landmark (Gustave Eiffel built it). 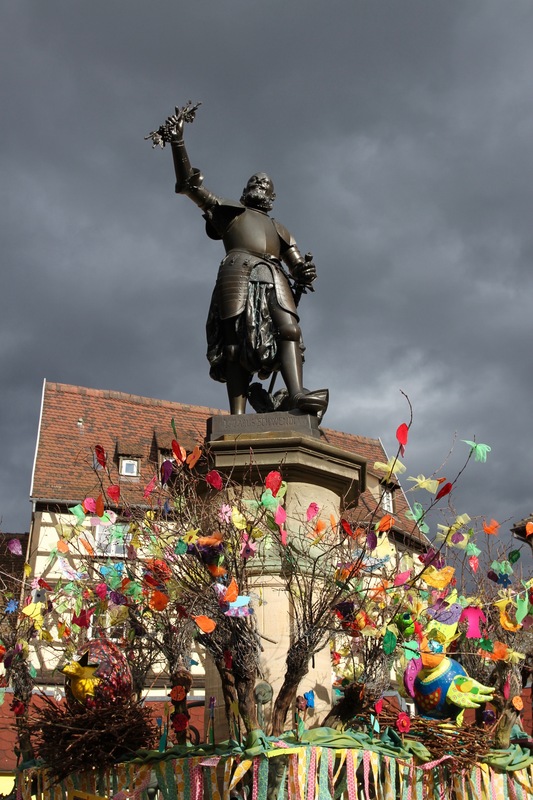 We were told that there was a reproduction of the Statue of Liberty sitting on a roundabout on one of the roads that comes into Colmar. Not exactly the same as sitting at the entrance to New York harbour, but an entrance of sorts. The metal squares mark the town’s main tourist trail, which you can follow with the help of a map from the tourist office. While the sun was shining, we headed out to explore the town. 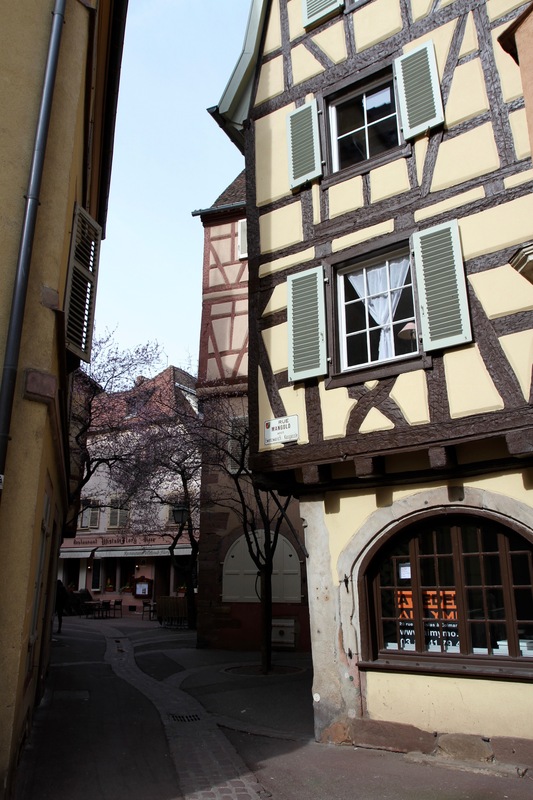 Colmar isn’t a big place, and wandering around aimlessly seemed like a good way of discovering its historic streets. 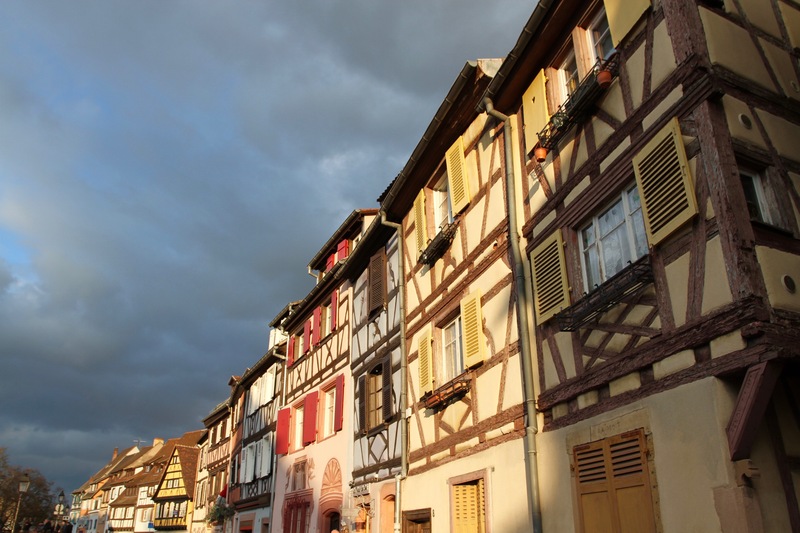 Founded around the 9th century, Colmar has witnessed a lot of history. One bizarre episode came during the Thirty Years’ War when, in 1632, it was occupied by Swedish forces who, needless to say, were quite a long way from home. 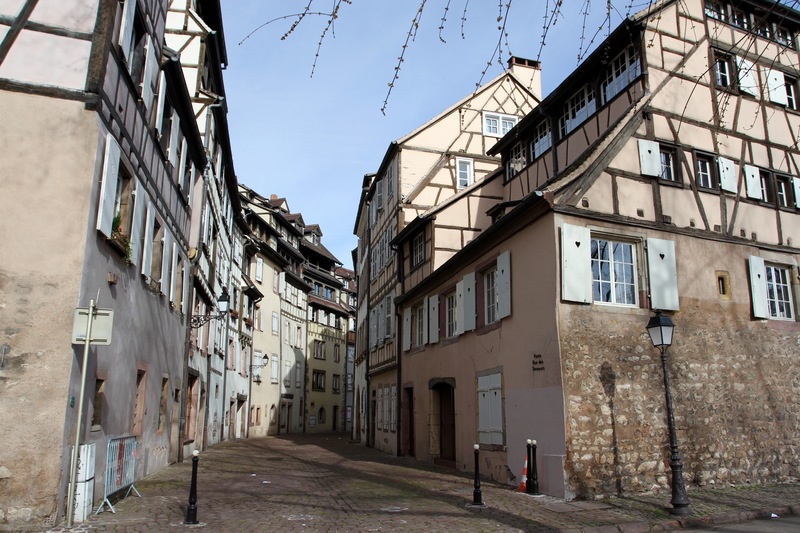 It was a fleeting occupation, and the town was passed between French and German control for the next three centuries. 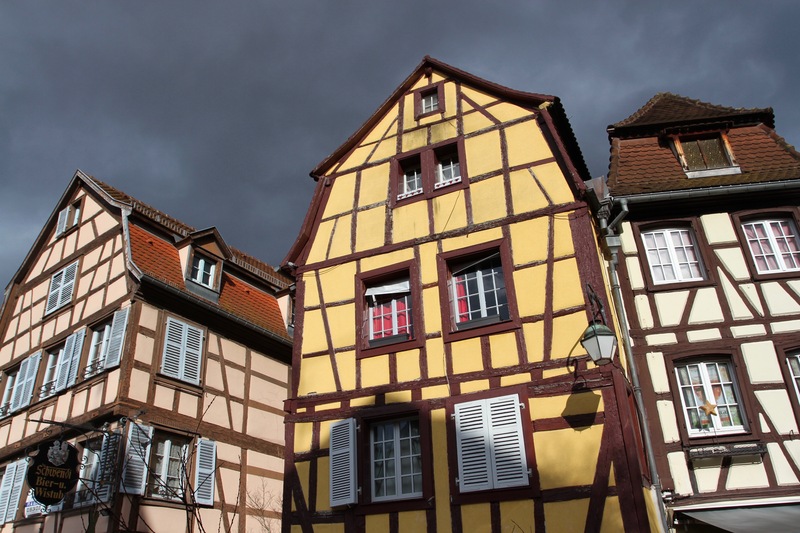 Like the rest of this region, that Franco-German heritage has left an indelible mark on the town. 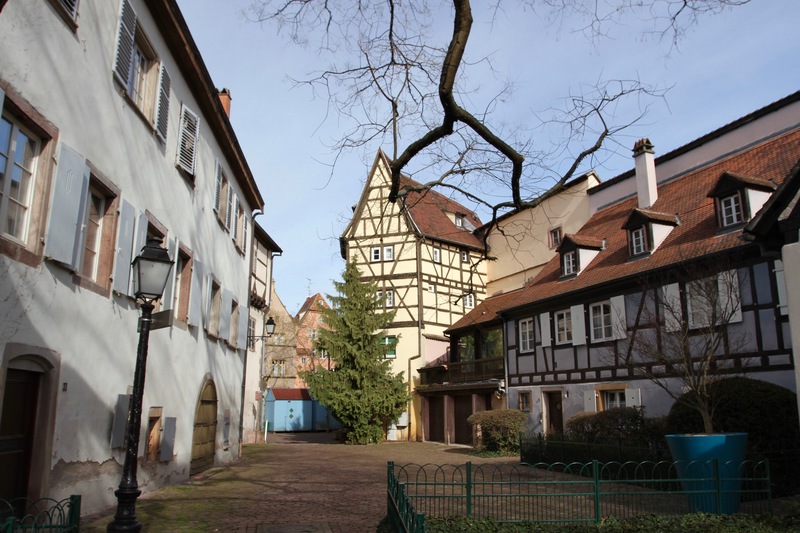 Despite a turbulent past, Colmar has survived without significant damage. Even heavy fighting in this region during the liberation of France in 1944-45 left it largely untouched. Its perfectly preserved centre really must count as one of the most remarkable in France. The historic quarter is made even more pleasurable by the fact that it’s pedestrianised, although when so many tourists are visiting over Easter the streets can hardly be considered hazard free. The sheer number of tourists would come back to haunt us when we were looking for somewhere for dinner. Almost all restaurants were fully booked. When we eventually found somewhere that had a table, we took no chances and ordered a bottle of Pinot Noir, rather than risk trying one of the region’s mysterious white wines. Emerging after dinner, the streets were practically deserted, and we made our way home with only the sound of our own footsteps on the cobbled streets. In the morning we’d be heading back to the Netherlands, but not before visiting a much more troubling period of this region’s history at Struthof Concentration Camp. Thank you for taking us to Colmar. A name I know but never been there.